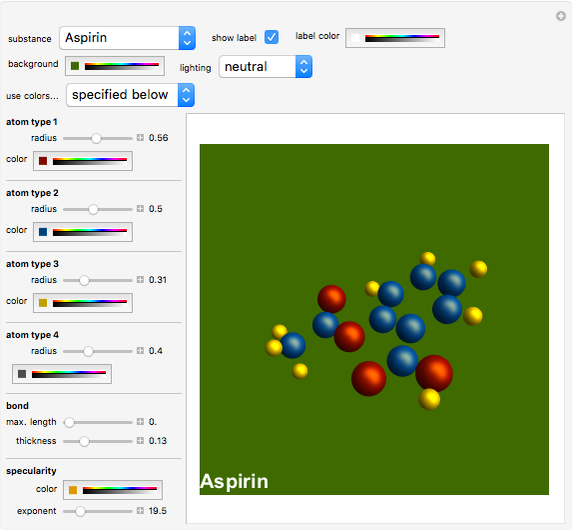 This Demonstration provides a stylable plot of some molecules in Mathematica&CloseCurlyQuote;s ChemicalData collection. You can easily add more structures, either from databases or from your own research results. 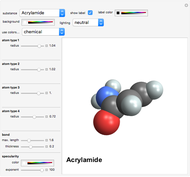 You can change atom colors and sizes as well as the styling of the bonds, labeling, background, lighting, and specularity. 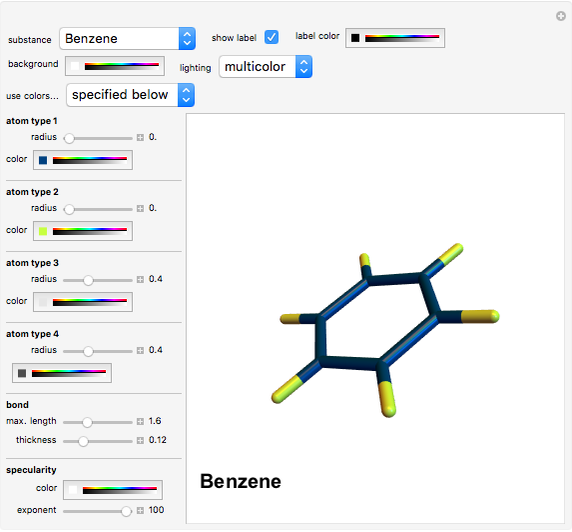 You can also set the colors of the different chemical species according to the accepted standards within the chemical community. You can drag or rotate the image, and of course you can save it in your preferred format. Create wireframe or space-filling plots by adjusting the atom sizes, and change the maximum bond length to remove and add bonds. The atom positions for each chemical compound ("coord" variable) were retrieved from ChemicalData using the "AtomPositions" property and then converted from picometers to Angstrom. 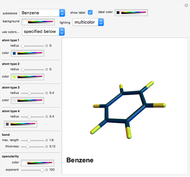 The "conf" variable can be generated via the "VertexTypes" property in ChemicalData. I chose to give this data explicitly rather than use ChemicalData to allow offline use of this Demonstration, but it can easily be altered to plot directly from ChemicalData. Bianca Eifert "Organic Molecule Explorer"